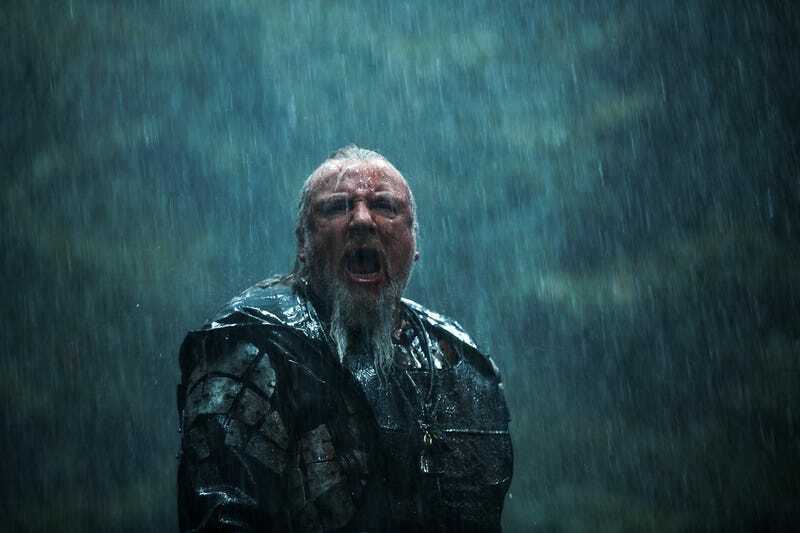 For the past few months, we've been unsure which version of Darren Aronofsky's Noah would be hitting theaters — there were tons of reports that Christian audiences reacted badly in screenings. Paramount had reportedly cut as many as six different versions of the film. But now, it appears Aronofsky has won. Are we all wrong about Vin Diesel&apos;s role in Guardians of the Galaxy? In an article last week in The Hollywood Reporter, Aronofsky said that after Paramount tested its more Christian-friendly versions of the film, the studio found they did no better. So Aronofsky's version is the one hitting theaters. They tried what they wanted to try, and eventually they came back... My version of the film hasn't been tested … It's what we wrote and what was greenlighted. One worry, says Moore, was that "significantly conservative folks who have a more literal expectation" from a movie about Noah might turn against it and become hostile. "There are some people where it's a very emotional experience of, 'Whoa, whoa, whoa — a Hollywood studio is trying to tell a story from my faith, and I am skeptical,' " he says. "Not necessarily 50 percent of the people, but maybe 10 or 20 percent. And those people can be very noisy." In some cases, Moore says, "people had recollections of the story that weren't actually correct." For example, there was Noah's ability to open and close the door to the ark. "People said the door to the ark is supposed to be so big that no man can close it. Well no, that's not actually what it says. What it says is that God ultimately shut the door of the ark when the flood comes, so it wasn't Noah shutting the door on the rest of humanity — it was God making a decision." And then there's the scene — which actually is in the Bible — in which Noah, back on land after the flood, gets drunk by himself in a cave. "But most people do not remember or were never taught the fact that after Noah's off the ark, there is a moment in the story where he is drunk," says Moore.